The Ake Art and Book Festival kicked off on Tuesday 19th November and no one is more excited than us! We really, really would like to meet you at the Festival. Five of our Authors, Igoni Barrett, Abraham Oshoko, Binyavanga Wainaina, Olusegun Adeniyi and Eghosa Imasuen along with other literary voices, Teju Cole, Yewande Omotoso, Molara Wood, Victor Ehikamenor and others will be buzzing about at the various discussion panels and events. If that’s not enough, the will be art exhibitions and plays; including the stage adaptation of the Secret Lives of Baba Segi’s Wives based on the book by author and Festival organiser, Lola Shoneyin. The Festival ends on Sunday 24th November after a truly amazing weekend line up. Checheck out the full programme here. For directions to the Festival click here. Question: What is the Ake Arts and Book Festival all about? Answer: The Ake Arts and Book Festival is a six-day programme of cultural, artistic and literary events. 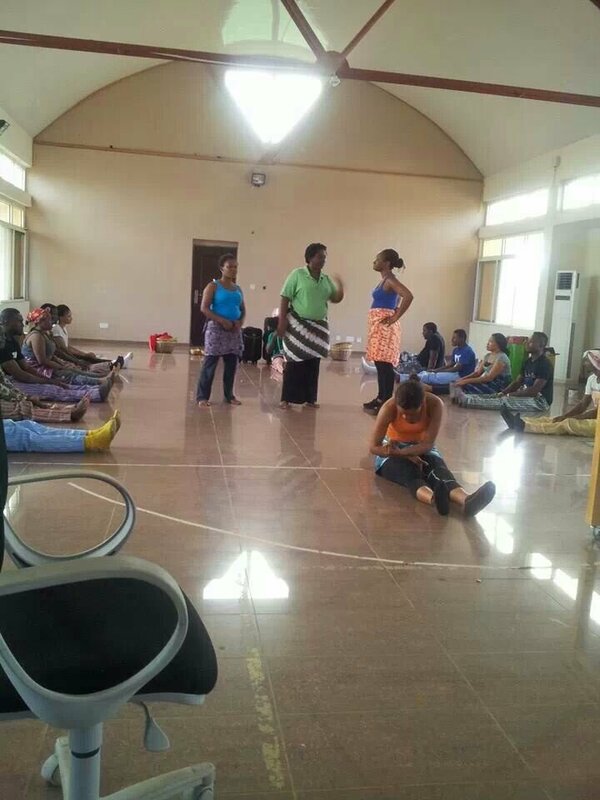 These will include readings, master classes, workshops, performances and talks delivered by both Nigerian and international authors, thinkers, poets, filmmakers, actors, artists and academics.Events will also include a comprehensive book fair, schools visits, a stage play, film showings, a musical concert, and library openings to pupils, publishers and book-buyers will be invited. Members of the public will be invited to participate in these events to promote social inclusion. Question: Do I need an invitation to attend the festival? Answer: No, you do not need an invitation to attend the festival. However, you need to register and registration costs N1000/ $6.50. Registration gives you access to the festival venue and to some of the free events. You will also be entitled to the festival welcome package. The registration fee is a one-off payment. We have both free events and events that can be booked and paid for online/in person prior to the event or in person at the venue. Because of the generosity of sponsors, most events are free. Question: How do I register for the master classes? Answer: You apply on the website, and you are required to have foundational knowledge of the classes you wish to apply for. You will be notified if you have been accepted by October. Please note that the selections will be made by the facilitators on a first come, first serve basis. We encourage you to apply early. Question: How can I participate in the online competitions? Answer: The online competitions is open to everyone. All you have to do is create an account on the website and you can start sending in your answers. You will be notified by email if you are one of our lucky winners. Question: Will the books of participating authors be available at the festival? Answer: Yes, books written by visiting authors will be available at the festival and you will be able to get your books autographed. From October if you are interested in a particular author, you will be able to buy the books online, or pick them up at our Lagos office or the Ibadan or Abuja depot. Question: Is it only the books that I buy at the book fair that the authors will autograph? Answer: No. You can come with copies you bought previously or the books that you ordered before the festival. Question: I am an author and I would like to participate in the festival and showcase my work, how can I do this? Answer: Please send an email to office@akefestival.org. We invite our guests to participate ten months before the actual festival.It is unlikely that you will be invited to the 2013 festival but there’s always next year. Each year, we will have a different theme. It is important that your work is in line with our criteria, and that your work is given the go-ahead by our guest selection committee. But if I had the opportunity to ask the judges one question, it would be this: How on earth did Teju Cole’s Open City and Eghosa Imasuen’s Fine Boys fail to make that initial ten-man shortlist? How? That was how the critic Molara Wood, then an editor at the defunct newspaper 234Next, described the then $50,000 prize money, which was supposed to, but was not awarded to any winner of the NLNG Nigeria Prize for Literature in 2009. Granted, she was speaking about the value of the prize to the company awarding it and not its value to a prospective winner. Since Ms. Wood wrote that article criticising what many in the literary community perceived as shabby treatment of writers during its 2009 edition, the prize has doubled in value, promising a payout of $100,000 to winners. Even more prestigious awards like the Man Booker Prize ($50,000) or the American National Book Awards ($10,000) are not worth that much. At $100,000 (sixteen million naira), the NLNG prize money makes it the 22nd biggest literary prize in the world and the biggest in Africa. In the opinion of this writer this is welcome; and it makes no difference whether the prize is the “NLNG’s hush money.” The value of the prize is the least of its problems. The NLNG award is a high value award, which is why it is surprising that save for a few sponsored events and pieces, not much discussion, criticism or scrutiny of it goes on. Conversations about the award – where they exist – seem contrived and are never sustained. Congratulations to Chika Unigwe, the winner of the 2012 edition of the award for her book, On Black Sisters Street. I have read it and it is a very good book. However, it is the award itself, and not Unigwe or her book, which is the subject here. This piece raises questions which are not meant to – nor can they – take away from Unigwe’s sweet victory. 214 books were submitted for consideration this year. I’ve read four out of the ten shortlisted and seen reviews for most of the others. I particularly loved Adaobi Tricia Nwaubani’s witty and readable book, I Do Not Come To You By Chance, which the judges didn’t think was good enough to make the final three. But if I had the opportunity to ask the judges one question, it would be this: How on earth did Teju Cole’sOpen City and Eghosa Imasuen’s Fine Boys fail to make that initial ten-man shortlist? How? Tastes are different, and any literary award worth its salt would often generate controversy over which books made the cut and which didn’t. But it’s hard to look objectively at the prose fiction landscape in the past four years and not rate those two among the top ten. Cole’s book was one of the most celebrated books in the world in 2011. You read that right – in the whole world. The Economist, Time, Slate, Ikhide Ikheloa, everyone was falling over themselves to pen flattering reviews of the book. Imasuen’s book, locally published by Farafina, is the quintessential Nigerian novel. Bold, witty and shorn of pretences, it was, in my opinion,the best locally published novel in the last four years. One possible reason the two books were no-shows on the judges’ shortlist could be that their publishers did not send in copies for consideration. In that case, rules are rules and the rule currently states that books must be sent in. The NLNG Prize Board might however do well to borrow a leaf from the American National Book Awards, which, I think, is an excellent award to model after. One of the rules of that award states that: “The chairpersons of each judging panel may ‘call in’ titles through the [National Book Award] Foundation office that have not been submitted by publishers. The Foundation then asks publishers to submit these titles for consideration, assuming they meet eligibility requirements. Publishers may submit at their own discretion.” In other words, the judges who must be actively aware of the goings-on in the literary scene can decide to call in a book which they believe merits consideration but which wasn’t sent by the publishers. This makes sense, especially since the ultimate aim is to ensure that the best books in the period under consideration are placed in the pot. Even as I write this, I know that there is little or no chance the suggestion in the last paragraph would be taken. Not because the organisers are averse to accepting suggestions, but if truth be told, how many of the judges really read contemporary fiction? The organisers of the award like to boast that “all the judges appointed are professors of proven integrity and academic excellence.” In that boast lies one of the main challenges of the award. These professor judges are usually so ensconced in their ivory towers that they seldom know what’s happening in the literary world outside their universities’ recommended books. They would not even know which books to call in if they had the chance. It would be a shock to find any of the judges who’d read more than one of the shortlisted books prior to being announced as a judge. It is time for the board to dice things up a bit. When I looked at the composition of the judges, I could see, but not accept, why Imasuen’s Fine Boys did not make the cut. The judges – conservative purveyors of orthodoxy that they are – would loathe recognising Imasuen who uses words like mumu, oyibo, yansh, play-play in his work and doesn’t bother to italicise or explain them. I do not seek to cast doubts on the integrity of those well read gentlemen and ladies but reality calls, let’s face it. What time do they even have to read these books? One of last year’s judges wrote in her judging report that they were given only one month to read 43 books and prune to 20, and another two weeks to prune to the final three. Among the judges that year was a university vice chancellor whose own report was so sketchy that any discerning mind would know he couldn’t possibly have done a thorough job. Of course the blame for the short reading time isn’t the judges’ but that of the organisers. Whether my reservations about the judges are unfounded or not, there’s still a good case for the judging panel to be a mixed blend. Academia alone doesn’t cut it. The Booker Prize, for instance, added an actor last year to its panel (he wasn’t just some shallow actor; he studied literature.) Other prizes have publishers, writers (who aren’t necessarily professors), and other important subgroups in their panels. There are many more questions I’ll love to raise. Questions like: Why does the NLNG even award a literary prize for drama? Is it sensible to give awards to plays which have not yet been performed or produced in the theatre? And wouldn’t it be more worthwhile to split the $100,000 prize money, in order to also offer financial rewards to the two runner-ups? I would leave the details of these for some other time. Farafina Books submitted Fine Boys as an entry for the 2012 NLNG Prize and received acknowledgement from the organisers, our entry was received. 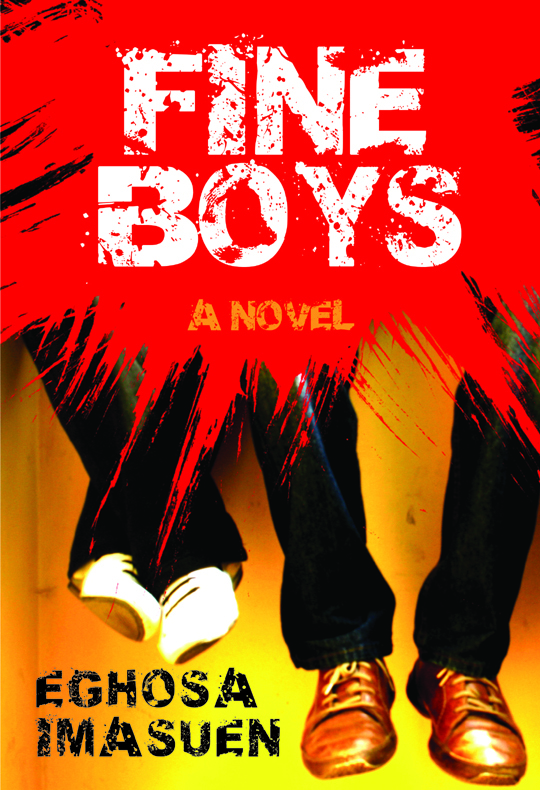 Fine Boys received glowing reviews from home and abroad. and we struggled to educate ourselves through very harsh times. Author of One Day I Will Write about This Place. We were surprised and very disappointed not to have made the shortlist. We invite readers to read Fine Boys and judge for themselves. Fine Boys is available for purchase from us (orders@kachifo.com, visit our store at 253 Herbert Macaulay Way, Alagomeji, Yaba, or call us on 08077364217. ) and all major bookstores.